For Swift documentation, please click here. This document describes the basic procedure for integrating StartApp In-App Ads into your iOS applications. After this simple integration process, StartApp In-App Ads enables you to reap the benefits of StartApp's In-App monetization products, which maximize the revenue generated by your application. All this profit-making is achieved with minimal effort and minimal interference with your users’ experience. When submitting your application to the App Store,do not forget to update your "IDFA Settings"
If you're new to CocoaPods, see their official documentation (https://guides.cocoapods.org/using/using-cocoapods) for info on how to create and use Podfiles. If you are upgrading the SDK from an older version, please refer to the Advanced Usage section before moving forward with the steps below. 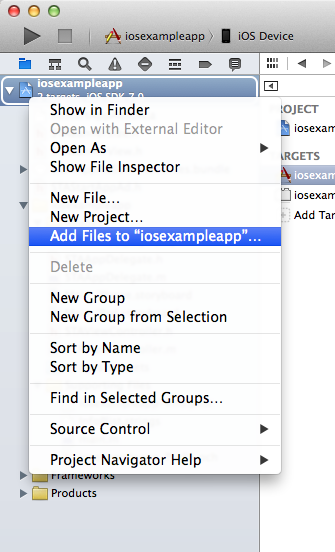 Right-click on you project and choose "Add Files to…"
Make sure to check the "Copy items if needed" checkbox. Replace "your app id" with your own value provided in the developers’ portal. Older SDK versions (before 3.8.0): We'll continue to support them with showing ads. It’s important to know that in case you cannot update the SDK version and the user consent is false for GDPR users, do not initialize StartApp SDK for such users. NOTE:timestamp parameter should represent the specific time a consent was given by the user. If you wish to customize or use a different splash screen, please refer to the Advanced Usage. Interstitial Ads are full page ads, displayed before or after a certain content page or action, such as upon entering a stage, between stages, while waiting for an action, upon exiting the application and more. When integrating this ad type you are open to get both Display or Video ads. Our optimization will auto-select the ad type that will generate the most revenue for you. For a full integration guide, please refer to "Advanced Usage" page. The STA_AutoAdSize detects the width of the device's screen in its current orientation, and provides the optimal banner for this size. Steps 3 and 4 are required only in case your app supports both orientations. STAAdOrigin_Top Auto Top The banner will be centered and pinned to the top of the view. 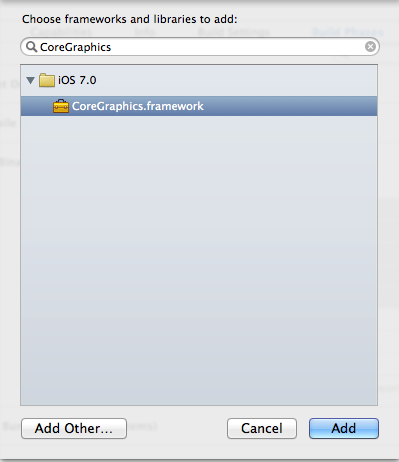 In case the view is a root view controller, the banner will be located under the status bar, if exists. STAAdOrigin_Bottom Auto Bottom The banner will be centered and pinned to the bottom of the view. If you wish to use a fixed origin for the banner, please refer to the "Advanced Manual"
In order to integrate MRec ad inside your app, you should use the Banner implementation and initiate it with the specific size: STA_MRecAdSize_300x250. In order to integrate Cover ad inside your app, you should use the Banner implementation and initiate it with the specific size: STA_CoverAdSize. 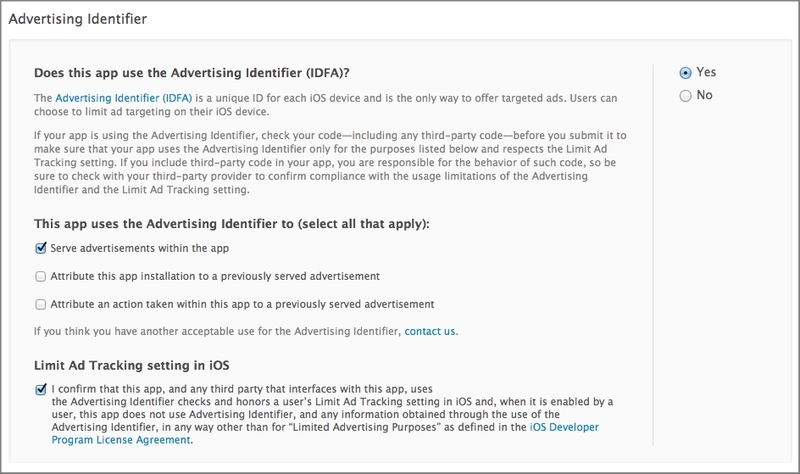 When submitting your application to the App Store you need to update its "Advertising Identifier (IDFA)" settings in order to comply with Apple advertising policy. Opt-in the confirmation checkbox under "Limit Ad tracking setting in iOS"
For advanced usage, please refer to "Advanced Usage"